Elizabeth Gaskell's comic portrait of early Victorian life in a country town describes with poignant wit the uneventful lives of its lady-like inhabitants, offering an ironic commentary on the separate spheres and diverse experiences of men and women. As the external world necessarily impinges even on Cranford, the unlikely juxtapositions of old and new brought about by the pace of change are also explored. 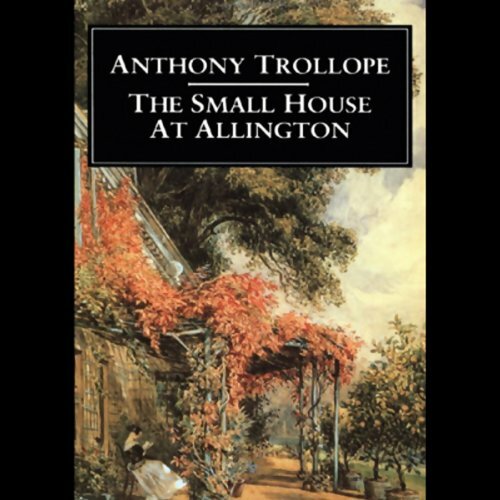 The Small House at Allington introduces Trollope's charming heroine, Lily Dale, to the Barsetshire scene. Lily is the niece of Squire Dale, an embittered old bachelor living in the main house on his property at Allington. He has loaned an adjacent small house rent free to his widowed sister-in-law and her daughters, Lily and Bell. But the relations between the two houses are strained, affecting the romantic entanglements of the girls. Lily has long been unsuccessfully wooed by John Eames, a junior clerk at the Income Tax Office. The handsome and personable Adolphus Crosbie looks like an enticing alternative, but Adolphus has his eye on the rigid Lady Alexandrina de Courcy, whose family is in a position to further his career. Bell, meanwhile, must choose between the local doctor, James Crofts, and her wealthy cousin, Bernard. 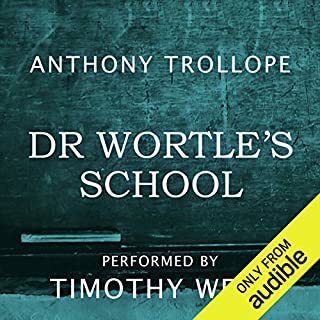 Listen to the classics: download more of Anthony Trollope's Chronicles of Barsetshire. Here's a story to sink into and lose yourself for hours and hours. Trollope was one of the great early psychologists. His characters are brimming with life, pride, longing, courage and foolishness, and the effect of so many lives overlapping and colliding is mesmerizing. This is an old-fashioned story, and once in motion it seems unfair that it must end. Pitch-perfect reading. Go for it! I have enjoyed most of Trollope's books, but his sense of humor truly shines through in this book. The characters in this book demonstrate how easy it is for people to misunderstand each other and reveals all of the pain and joy of passing from the awkward stage of a young adult into adulthood along with all of the bad choices that can be made along the way. The painful emergence of John Eames from what Trollope calls his "hobbledehoyhood" is beautifully depicted. Get this book now. 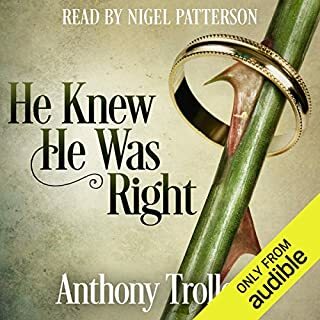 It's pure pleasure from beginning to end, with one of the best narrators I've ever heard. Engaging, suspenseful and full of humor and tenderness, "The Small House at Allington" is GREAT. Outstanding. After having listened to "The Warden," I purchased this novel---slightly out of chronological order, but no matter. The characters come alive through the language and the narrator's versatility with different voices. What a pleasure, and it's very long, so it just keeps delighting, hour after hour. I have decided, on the basis of these two books, to read/listen to everything ever written by Trollope. I hope that will keep me busy for a few years. I’ve said it before—and I’m about to say it again. 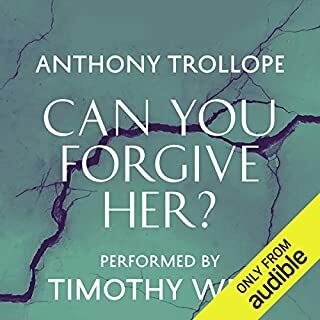 Listening to Simon Vance read Anthony Trollope is a delight. The saga of Barsetshire continues, this time in a novel which, of the five I’m now familiar with, has the greatest number of loose ends. It feels very much like a length of tapestry cut from a much broader composition (yes, I know, they all are; but this one has the least sense of resolution). 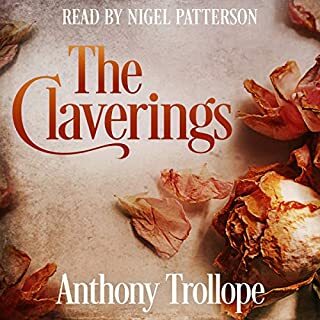 Maybe it’s the fact that by the final pages our hero (a self-confessed hobbledehoy) doesn’t end up with everything he wants (while some more minor characters do); maybe it’s because the introduction of Mr. Plantagenet Palliser hints at the next series of six novels. Whatever the reason, the sense of incompleteness, of stepping on the last stair only to find that it isn’t there, adds to the novel’s—I was about to write “realism”, but that’s its own school—so I will fall back on “true-to-life-ness”. While some of the Barsetshire books could be read on their own, I believe this one benefits from the broader setting of the four novels that precede it. And, I presume, the one that follows. 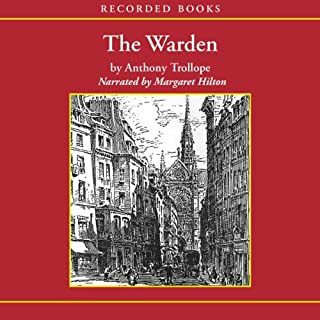 As usual with Trollope, there’s the sense of a man who likes people, enjoys telling a story, and tells a story that, even when dealing with the seamier side of society, can make you smile (ironically or sarcastically, but still, a smile). Along the way there are many telling observations about us human beings; how we lie to each other and to ourselves, how we mature—or fail to do so. I think what I enjoy most about Trollope is that his “good” characters are never wholly good and his “bad” characters are never through-and-through bad—not even the self-misguided Adolphus Crosbie or that manipulative semi-siren, Amelia Roper. We see wealth and poverty—and the poverty of those supposed by the world to be wealthy. But we don’t get preached at about either one. Trollope takes life as most of us do—as it comes. There is a lighter touch, a defter hand at work here than say, Dickens. The Small House at Arlington will go down as one of my favorites. The language throughout the book is beautiful and the reader is very good. It's one of those books that you simply want to savor every moment. It's an engaging story but is made excellent by the narrator, He gives a voice to each character. This is the first Trollope novel I've read, and I found it charming. I will definitely be looking for more. A great story, well written, entertaining, and insightful. Great reader, and my wife and I highly recommend this book! This was such a wonderful listen! Great characters, great, unpredictable story, great observations of human character. Well -performed, with complete understanding of the work. I have been listening to Simon Vance's eccentricities with Trollope only for the want of an alternative - 1950's accents, completely wrong accents for some characters and frequently a perversity against the text. Please get us Timothy West! Another reviewer complains about the voice of the reader. Generally I did not find it intrusive, although I felt that his attempts to distinguish the voices of the women were somewhat overdone. I have never managed to get beyone the first few chapters when reading Trollope and enjoyed being able to go through the whole book. It may be better to start earlier in the chronicles as there was a sub-plot that was completely divorced from the rest of the story and presumably links in elsewhere. In addition it became apparent that the story does not end here, so the listener does have to be prepared to commit the time to another book. 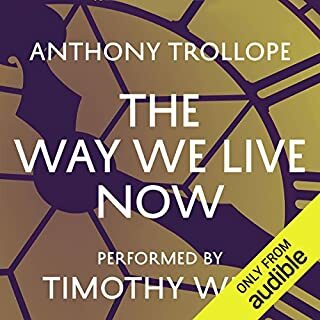 Trollope's asides to the reader may take up considerable time in listening and would, I think, be edited out these days, but are quite fascinating. An excellent narration for this charming story. Evoked the characters and action beautifully and I was sorry when it finished. As usual Trollope’s minute observation of human nature and motivations makes this a story into which you can fall absolutely.